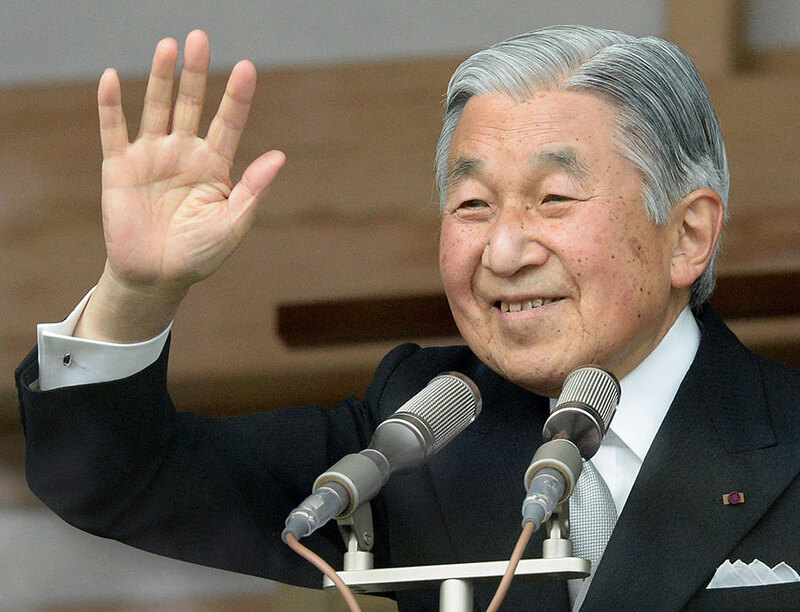 There have been reports on Japanese Emperor Akihito‘s desire to step down from the throne he has held for almost three decades in the next coming years. An anonymous government source reportedly told Kyodo news agency that the revered monarch has been thinking of this move for about year. Akihito assumed his inherited role as emperor in 1990, succeeding his father Hirohito, 1901-1989, who reigned during the Second World War. According to the Japan Times, Emperor Hirohito warned against the ties then General of the Imperial Japanese Army, Seishirō Itagaki, strengthened with Nazi Germany that led to the subsequent bombings of Pearl Harbor in 1941, which brought about a war between Japan and the US. Although the late emperor was displeased with the decision to go to war, he would support his people in the army and navy by dressing in military attire to raise morale. Japan’s defeat saw the country divided in 1945 between the military who wanted the war to continue and the civilians who wanted peace. After the atomic bombs that were dropped by the US in August that year on Hiroshima and Nagasaki, the late monarch insisted that Japan surrenders in a historical radio broadcast. Hirohito was perceived as a war criminal by some US allies but during the US invasion of Japan, General Douglas MacArthur felt that by the monarch keeping his position, he would become a positive symbol of the nation. This decision could have been fueled by the monarch’s earlier sentiments to seek ties with the US and Britain instead of Germany. In 1989, Hirohito passed away leaving the throne to his heir Akihito, the 125th Emperor of the Chrysanthemum Throne. Akihito was the first Japanese monarch to visit China in living memory and expressed his regret with regards to the Sino-Japan wars: the first was in 1894 to 1895 between Qing China and Meiji Japan, and the second leading into World War II took place from 1937 to 1945. Over the years, Emperor Akihito had sought to strengthen Japan’s relations with the world through international visits but has decreased his official duties leaving them to his heir, Prince Naruhito, 56. According to Shanghai Daily, Akihito is the first emperor of the nation to marry a commoner, wealthy but not royalty, Michiko Shoda. He will also be the first Japanese Emperor to abdicate in almost two centuries since Emperor Kokaku in 1817. Simultaneously, there have been reports that the Imperial Household Law would need to be amended to allow the monarch to step down, which is a process that will need to be discussed in parliament. It is currently unknown when the reported abdication will be; firstly because the words did not come directly from the Emperor’s mouth and; secondly because government officials have allegedly dismissed the claims. Notwithstanding, if the reports are correct, then in the years to come Japan’s Emperor of 27 years will be able to enjoy his last years in tranquility without the burden and ceremonials associated with the monarchy.